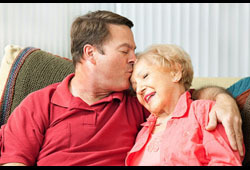 Home care provides round the clock attention and care for the elderly. It makes sure that your loved ones receive individual one-on-one attention in a more personal setting and can also get the assistance that will enhance their quality of life. In-home caregivers cater to every individual requirement of the elders. They also provide emotional support and companionship which is much required at this stage. They ensure that your loved ones feel safe and secure in the company of people close to them. A 24-hour home care service would make it possible to meet their emotional needs and prevent them from succumbing to depression. Being at home, your parents and grandparents can sit in the chair they love; they can enjoy the sunshine in their backyards and live their life to the fullest with you being around them. It also allows them to recover from their injury or illness easily. A personalised home care service will enable them to remain calm and give them peace of mind allowing them to pass their life with tranquility. Our services are available from 1 hour to 24 hours a day to live in care. We are available 24*7 throughout the year. Senior Care Solutions @ Home Ltd has changed the face of ageing by offering a wide variety of home care services that help people to have a safe and healthy life with comfort, independence and dignity. Contact us at seniorcaresolutionsathome.com to help you out in times of adversity. We provide non - medical care of adults within their homes. Senior Care Solutions @ Home Ltd. can assist people to remain within their safe and familiar environment, providing highly regulated quality care. © 2019 Senior Care Solutions At Home.All rights reserved.